Puebla has always had something that calls me. 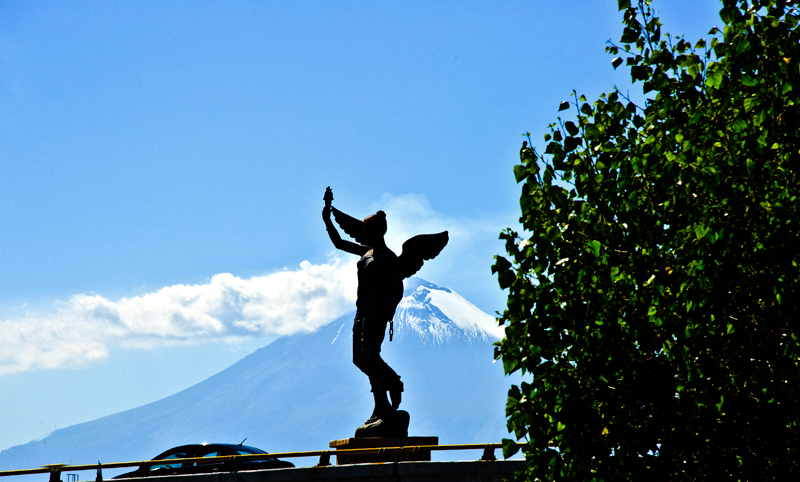 Its architechture, the streets and, specially, that history that feels both in tiny and huge spaces of the city always gives me that desire of waking up watched by those two volcanos. Fortunatelly, Puebla is just a whim away so, a few days ago I went back to find a city more surprising than I could ever hope for. The moment we arrived, traditions were waiting for us. As part of Tesoros de México Association, our hotel Mesón de la Sacristía e la Compañía, opened its doors of that 17th century mansion rebuilt as a hotel to welcome us to a building that, behind those heavy and big wooden doors decorated with gold leaf, shows a work of recovery and remodeling worthy of admiration. This venue, also hosting one of the oldest antiques stores of the city so, it’s not surprising that eveything at this hotel has a pricing ticket, what makes this place a unique experience opportunity of getting that little thing that everyone has thought of buying once. Walking through this carved wood furniture, every style of piano you can imagine with God knows how many stories told next to the keyboard, photographs and stuff that had witnessed the years passing by. Leobardo Espinosa, owner and manager of the Mesón de la Sacristía Hotel gives us a maginificent meal of regional food in the hotel’s restaurant to tell us how Puebla has changed in the last years and how it has changed into a city that joins viceregal history with 21st Century modernity into a mix that it looks tailor made for the occasional traveler but, at the same time, with a wide variety of options to delight the specialized one. After settling into our room that keeps this timeless fantasy of being in this 200 years old mansion, we took a walk through downtown so we could rediscover again the city. Of course, the first stage of our toour had to be the antiques bazaar of the traditional alleyway called Los Sapos, located just 50 yards away from the hotel. Here you can breath the classic Puebla, that one where the locals hold to the pleasure of discovering, amongst thousand of articles, that long last wished piece or, maybe, a new source of collector’s obsession that walks the crowd and say hello to everyone selling these pieces with the ironic phrase: “What’s new this week?”. Watches from the 19th century, copper pots from 100 years ago, pictures and photographs with dust of 50 years storage and even artisan pieces of those families who built this city are spread in the street listening people negotiate and ask for more everyday just as if the people were a bunch of treasure hunters from your favorite best seller. Before, when we were drinking coffee still in the hotel, Leobardo Espinosa recommend us to visit the Amparo Museum, as our arrival match with the opening of Annette Messager’s exhibition, a french plastic artist who, thanks to the agreement between the Amparo Museum and the Pompidou Centre, came to Mexico with an exhibition that soon will be at Mexico City in which Messager, a former winner of the Golden Lion at Venice Biennal, makes a retrospective of her work. This was the first sign of a new Puebla, open and with the eyes fixed on contemporary art and trends of what is needed in the travelers market. This is what this trip became. A walk through a Puebla that called us from the classic and iconic venues but guides us to the new corners of this modernity effort that is coming up in this city that one day is a location for the next feature film and, the next day, the urbanization goes forward as the old buildings stand proud of being the foundation of everything that is happening. That’s how we got to La Noria, a Restaurant that joins cuisine, artistic expression and an artist workshop in which combines international cuisine for the locals with traditional dishes that opens its doors into an art gallery with exhibitions in constant rotation. The flavors we enjoyed at the restaurant will be the subject of another article but is enough to say that it fulfilled our expectations. At night, tradition called us back, so a visit to the restaurant El Mural de los Poblanos was inevitable, as it’s a classic venue right on downtown and beacon on the subject of the rescue of gastronomical traditions in Puebla. Chef Alejandra de la Riva served us one of those dishes that makes mexican gastronomy so unique: sauted cuetlas. Behind this dish there’s a history of traditions of more than 500 years as the cuetla is a kind of butterfly caterpillar from the Mixteca mountains that, for generations, women from that indigenous community pick them up in rainy days to boil them in water. Then, after chefs like De La Riva receive them, she saute them with onion, epazote and dried meat to serve them with sauce and hand made tortillas so we can enjoy one of the many dishes that, as she told us, El Mural de los Poblanos rescues from the past in a succesful attempt to show the flavors that make Puebla the converging point of the national gastronomy. 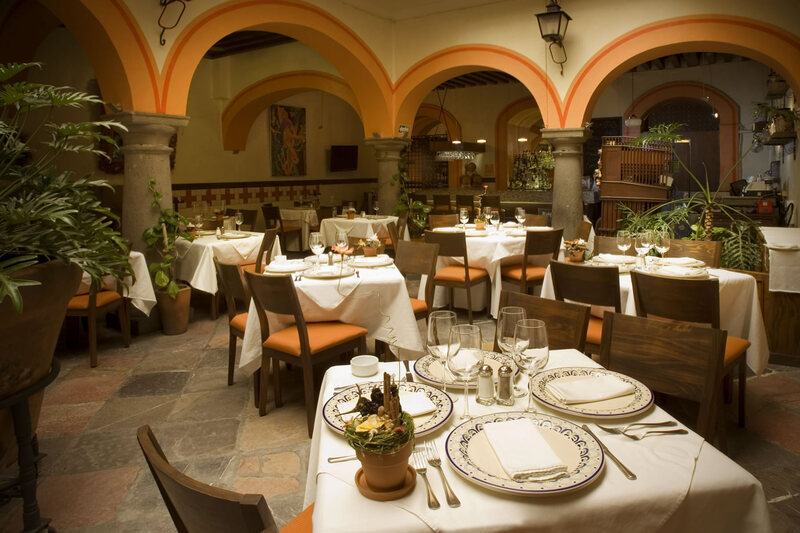 This place also has kitchens for classes of traditional cooking and a couple of private saloons where diners can enjoy this lost in time building watched by the wallpainting created by Antonio Álvarez Morán in which some of the major personalities of Puebla throughout history are portrayed. With th enight already set and after visiting the new wings of the El Sueño Hotel while we were enjoying on of their famous pear martinis, we went back to our own hotel, walking the streets of an historical downtown that, for our surprise, is filled with calm silence. Puebla has changed, that’s for sure. It is no longer that classic, closed and history filled city only that gave the impression of being in complete stillness without no intention of moving on. 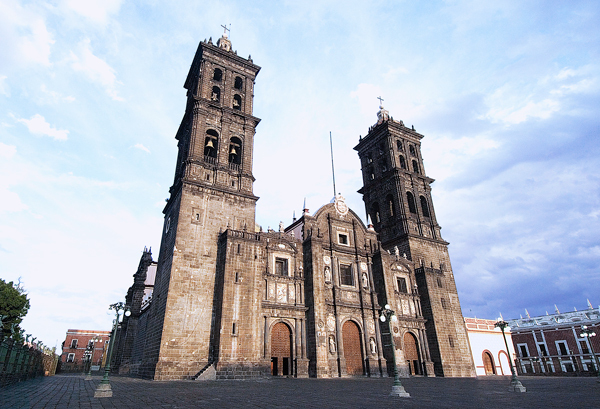 Today Puebla has become a destination that cries out its place in the list of best destionations in the central region of Mexico. The vanguardism of this city combines smoothly and perfectly the traditional feeling of viceregal times, its buildings and flavors still active, makes it a focal point in our map that, for sure, we’ll be visiting it every time we have a chance in this 2011 that starts. Puebla is ready to surprise us even further and yes, Puebla has always had something that calls me and today, thanks to a weekend whim, the city of angels took a piece of me for me to come back and search for it, in every corner, every dish, every scent of this destination, hopefully to never find it aggain so I can have a good and beleivable reason to go back as many times as necessary. This entry was posted in Destinations Review and tagged Architechture, Gastronomy, History, Hotel, hotels, La Noria, Lodging, Mesón de la Sacristía, mexican cuisine, Mexican Food, Mexico, mole, Mural de los Poblanos, Puebla, restaurant, review, tourism, Traditional Mexican Food, Traditions, Trip. Bookmark the permalink.